The Farm Stay story for children has come out of our family’s many visits to a great farm stay. When Kristen was 5, we discovered a wonderful Farm Stay near Nelson Bay, New South Wales. We only stayed 2 nights that trip, but we have returned many times since then. Scott and Louise of Kookaburra Cottages Farm Stay are wonderful hosts, and we have enjoyed many adventures at their farm! 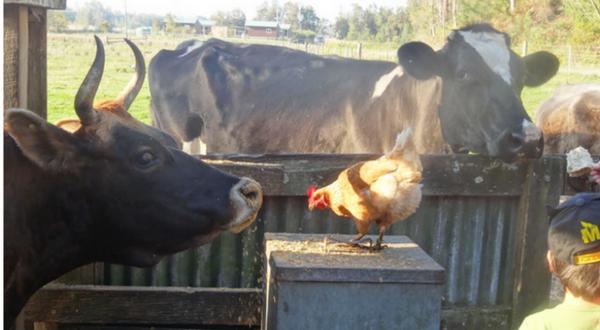 The highlight of every farm stay is the daily feeding time, where all the guests get to go around the farm and help out with feeding the animals. It starts with holding the baby chickens and guinea pigs, which are very cute! Then you move to the cows, where you can feed bread to the cows and milk to the calf. You can also try your hand at milking and even sample a squirt of milk fresh from the cow! After that, it’s on to the tractor, to go around the farm to feed the pig, chickens, donkey, alpaca, Shetland pony, sheep, goats, geese and ducks! Of course, if it has been raining, it’s almost certain you will come back muddy… but that’s all part of the fun of being on a farm, isn’t it?! Of course, following our visits each time, Kristen would request a Eumundi story about the friends visiting the farm. 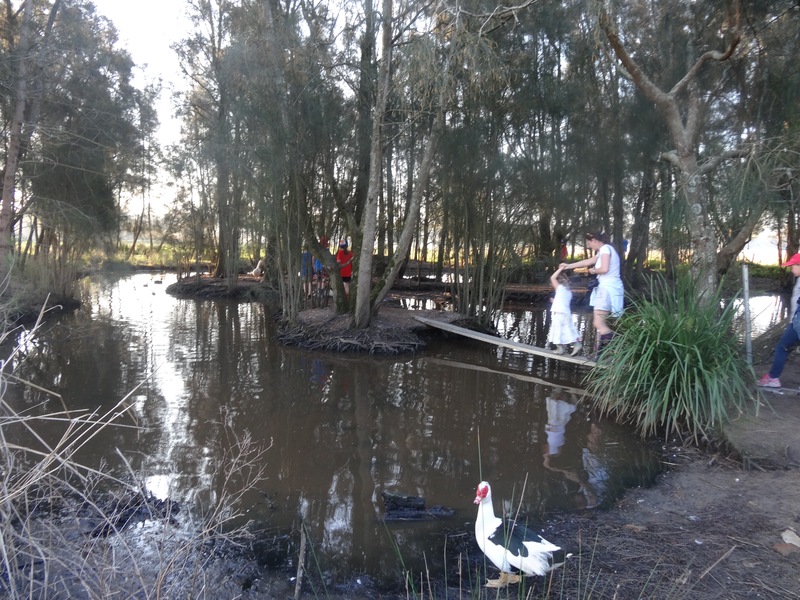 This children’s story is just one of many we have shared about Eumundi and friends at the farm. It’s in 2 parts, because it’s such a good story…. look for Farm Fun: Feathers, Flowers and a Pig to hear what Eumundi and Friends get up to the next day!